Taking on a new goal can be easy when the path to get there is clear, and the steps along the way are fun. However, for those parts of life that are ambiguous or unpleasant, creating and holding to a vision of success is all the more important. I recently lost my energy, and was dragging through the days. I had no idea what was wrong, but I was determined to find out. I created a project in my trusted GTD system called “Energy levels optimised”, and took away a next action to ring my doctor. After some tests, this turned in to an item in my waiting-for context to hear back from the doctor’s surgery. When the results all came back normal, I found myself at a decision point. Obviously, I wasn’t dying. But I wasn’t feeling great either. My temptation was to delete the project and just accept this state of affairs as some kind of new normal. After all, I couldn’t think what to do next, and was feeling discouraged. One of the things I often find myself saying as a GTD coach is that, “For every project, there must be a next action.” I now heard those words again, in my own voice, in my own head, and realised that this project – of feeling good and healthy again – was not one to simply drop. So, there had to be a next action. Turns out, there was a spate of them. One thing led to another and, while I’m not quite ready to tick this one off as completely done, I am feeling a lot better, and know a lot more about what works for me health-wise. If I hadn’t put this one in as a project in my trusted system, however, and stated it as a clear outcome I was committed to achieving, I might have given up once the experts around me had run out of ideas. Instead, reengaging with that vision of optimal energy week-on-week during my weekly review gave my brain a “mission” to find the next step. Just recording the step felt good, and acting on it felt even better. I wasn’t going to give up on myself, but I wasn’t going to obsess over this area either. 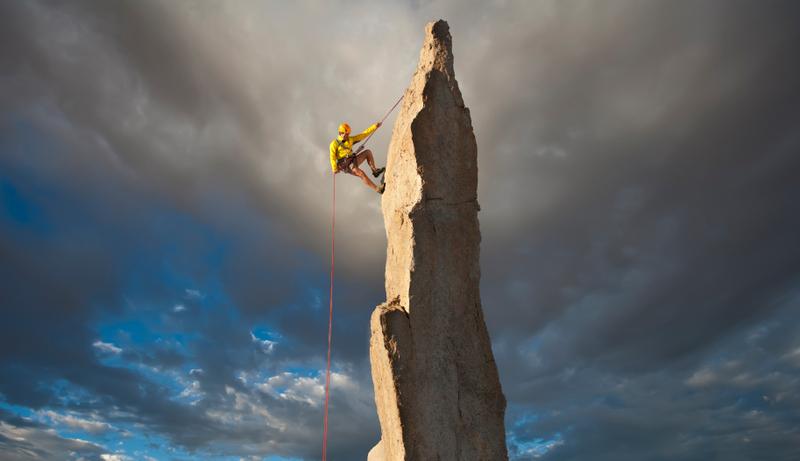 It was as though I had tethered myself like a rock climber to the project outcome at the top, and having made that clear commitment, I just needed to find the next best foothold in each moment to get me there. When I started, I couldn’t even see the top, but now I’m getting there. So, over to you. If there has been an outcome in your life that you want to be true, but the path to get there is uncertain, I encourage you to let yourself define what success looks like, and record it on your projects list. Then find the single, simple action that you’d do next (if it were all you were doing) to get started, and put that on one of your next action lists. Like what you are reading? Sign up to our Newsletter for regular updates. Next Action Associates, Ltd. is the Certified International Partner of David Allen Company in the UK and Ireland.